*14.2cm of fresh snow has fallen since yesterday morning and at 7:10am today the temperature was -10°C. It is overcast and snowing lightly and these conditions look set to continue for much of the day. After the upper lift being closed for much of the last few days if the lifts are running we are anticipating some deep turns and will make our way over to Niseko Village Ski Ground, get as high as we can and hopefully a few runs down Wonderland and then try our luck down Superstition. Only recently we discovered a few hidden zones worth checking out on the lower part of Niseko Village Ski Ground, Pure Magic is one of them. 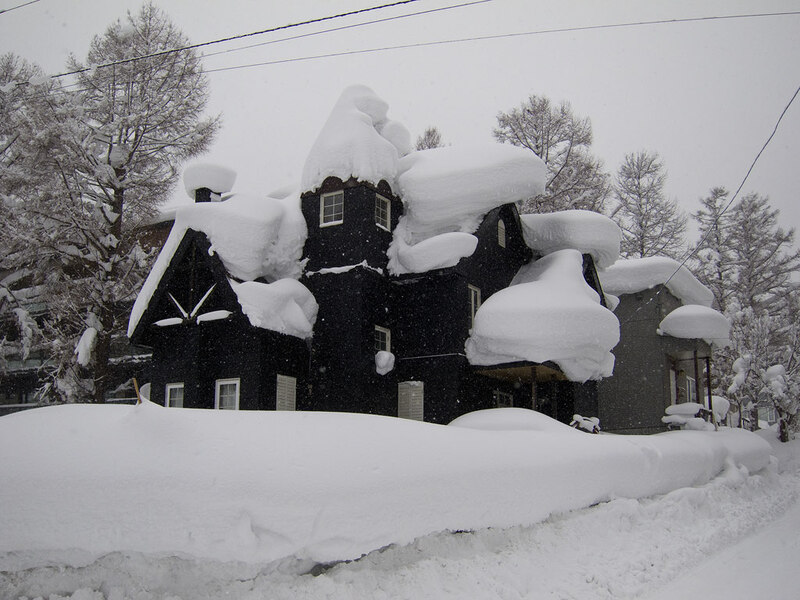 There are amazing sights all around Hirafu village right now with huge mushrooms of snow appearing everywhere. Clearing snow is a never ending job right now.